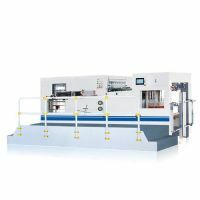 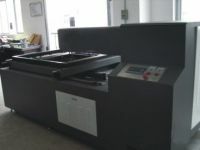 This machine adds the functions of stripping system besides that of the automatic diecutting and creasing machine,it can remove all the useless blocks or edges(except gripper edge),so the production efficiency is greatly improved, it is especially used in the automatic diecutting and stripping of the complicated cartons and cigarette boxes,which makes the operation reasonable. 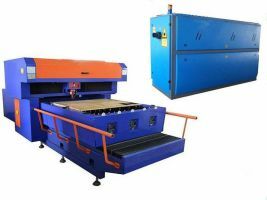 â—It has the function of stripping which can cut off all useless blocks or edges(except gripper edge), improving the production efficiency. 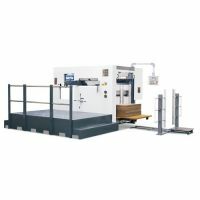 â—Stripping frame can be lifted automatically and is equipped with central registration device, easy operation and reducing time of preparing. â—Presetting table is equipped central registration device, which is convenient for installation of stripping plate. 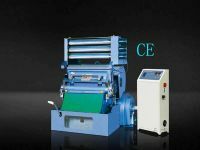 â—Intermittent construction with high precision, which is made by professional manufacturer, ensures the stable running of machine. 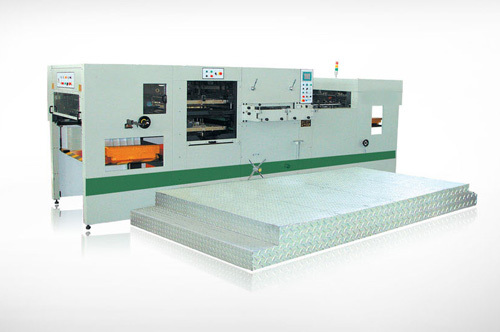 â—Reasonable construction design solves the problems of low speed and sheet separation.